We all love a nice classic salad from time to time, especially now that warmer weather is on its way. Here I have compiled three of America’s most iconic salads: a chicken Caesar salad, a Waldorf salad and a Cobb salad. 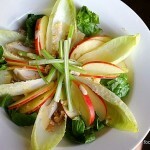 Beautiful salads, every one of them … I only hope I do them justice. 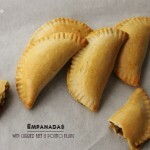 Empanadas are meat filled parcels from south America that has made its way into various cultures across the world. It is very popular in the southwestern states of America that borders Mexico and, in the east, Florida which has a large Cuban cross-cultural influence. These pastries I have made today are baked, but you can fry them if you wish. Ever wondered where Malaysian curry puffs came from? Well read on to find out more. Chilli con Carne means chilli peppers with meat, and this dish is 100% a made in America dish, albeit with strong Mexican influences. Today I share with you my version of chilli, which is mild on heat but with a full bodied all round flavour. I use ground beef as opposed to chunks of beef. 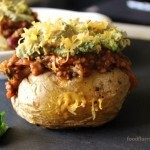 A fairly simple meal to put together and it can definitely feed a crowd … so cook up a batch and dig in to some wholesome good eats on a baked potato. 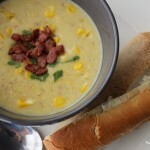 Item #2 on my list of famous American dishes … a Smokey Bacon Corn Chowder. 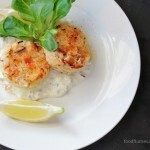 Rather simple coz everything gets tossed into the pot and then blitzed to creamy perfection. Wonderful smokey bacon flavour coupled with sweet corn kernels … man, the pairing is incredible. Definitely a keeper. 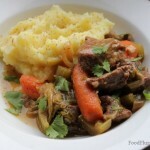 Kicking off the month of April with a warming lamb stew with lots of yummy vegetables. 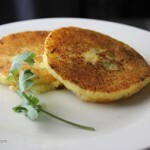 Delicious and aromatic, this meal is sure to hug you from within. Couple that with my creamy garlic mash and you’ve got a winning family dish to serve, perhaps, for Easter lunch.